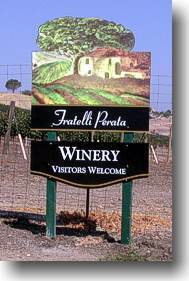 When Fratelli Perata Winery first started pouring, we did it (as many small wineries have done) inside the winery, on top of the barrels, wherever there was space. Eventually, reason took hold and we built a tasting room. O.K, perhaps we're fudging here. We needed more space for barrels and so part of that addition turned into the tasting room. We take what we can get. There are winery tasting rooms and then there are winery tasting rooms. The important things to the Fratelli Perata family /are/ family, food, sustenance . . . and wine. 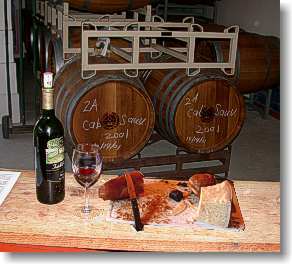 When you visit us there will be some of the best wine around. 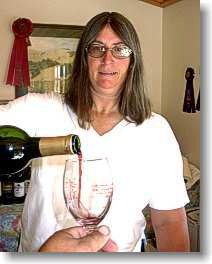 It is best that you make an appointment, because we're a small family running the winery and tasting room. 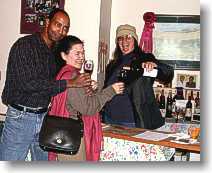 Our tasting room hours are: Daily 10am to 4:30 pm..